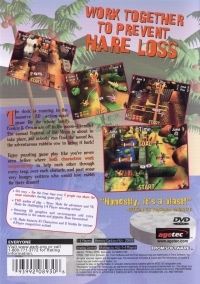 Box Text: The clock is running in the massive 3D action-maze game for the whole family. Cookie & Cream are off to the moon - literally! The annual Festival of the Moon is about to take place, but nobody can find the moon! So, the adventurous rabbits vow to bring it back! Enjoy puzzling game play like you've never seen before where both characters work cooperatively to help each other through every trap, over each obstacle, and past some very hungry critters who would love rabbit for their dinner! 11-04-2015 silverbow Box Text The clock is running in the massive 3D action-maze game for the whole family. Cookie & Cream are off to the moon - literally! The annual Festival of the Moon is about to take place, but nobody can find the moon! So, the adventurous rabbits vow to bring it back! Enjoy puzzling game play like you've never seen before where both characters work cooperatively to help each other through every trap, over each obstacle, and past some very hungry critters who would love rabbit for their dinner! 08-06-2012 mkarasch Box Text The clock is running in the massive 3D action-maze game for the whole family. Cookie & Cream are off to the moon - literally! The annual Festival of the Moon is about to take place, but nobody can find the moon! So, the adventurous rabbits vow to bring it back! Enjoy puzzling game play like you've never seen before where both characters work cooperatively to help each other through every trap, over each obstacle, and past some very hungry critters who would love rabbit for their dinner! 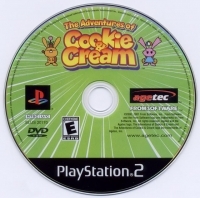 This is a list of VGCollect users who have Adventures of Cookie and Cream, The in their Collection. 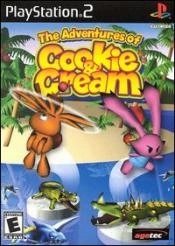 This is a list of VGCollect users who have Adventures of Cookie and Cream, The in their Sell List. This is a list of VGCollect users who have Adventures of Cookie and Cream, The in their Wish List.